Hare Krishna temples feature daily classes on the Srimad-Bhagavatam, a sacred text filled with information about Krishna, the Supreme Person. 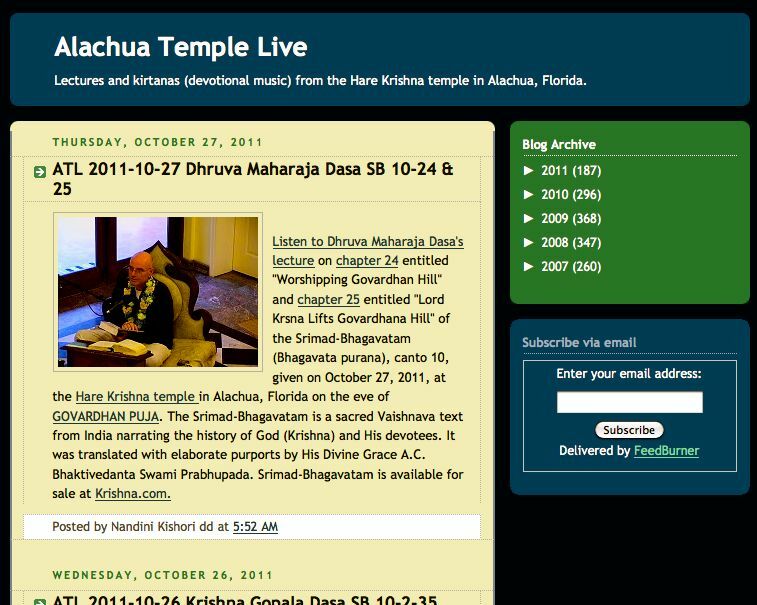 Here you can listen to lecture recordings from the New Raman Reti temple in Alachua, Florida, delivered as a podcast to anyone who subscribes. Receive these lectures via email, or with the Podcast function in audio player software such as iTunes.